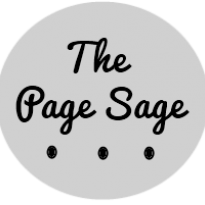 The Page Sage was started because I love reading and writing- it just seemed like the natural way to combine my two passions. It's where I discuss books I love and some I don't, as well as everything from book covers to feminist literature. If you're a member of Epic Reads (HarperTeen's website), you know that each month they have a Book Club pick. And for August, they picked one of my *favorites,* the absolutely amazing Something Strange and Deadly. The author, Susan Dennard, has made this book club even MORE awesome by adding in prizes (including free books, signed stuff, etc.) to the mix, so you should really hop on over to her website to sign up. Magic and ghostly elements frequent the Something Strange and Deadly series. Even though corpses do awaken from time to time and hauntings are hardly that uncommon, the people of Philadelphia seem determined to pretend the Dead are not a growing threat. Do you think that’s part of human nature? To push on and ignore the danger at our door? Or do you think Philadelphia’s ignorance—or for that matter, any ignorance/false sense of safety in modern days as well—can be pinned on politicians? Can you think of any examples where something similar happened, but rather than the Dead, it was a natural disaster/growing crime rate/etc.? It is very much a part of human nature to want to ignore the ugly things in our life. I was actually just having a conversation with someone yesterday how when people talk about "cleaning up cities," that often means kicking out homeless people. And because that conversation is on my mind, I'm going to be using this as an example throughout this post. In the context of Something Strange and Deadly, is this mentality any different from how Philly treats the Spirit-Hunters? Do what you have to, they are essentially saying, but just keep it quiet. Out of the public eye. Appearance is more important than actual safety. So in a way, these means of "dealing" with problems, can be pinned on politicians. If they can claim that their streets are safer, even if it's all superficial, they can use that to advance their careers. But truly, it's the people's fault for not calling them out on this. Other than Eleanor, who stands up for the Spirit-Hunters throughout the book? Who sees the importance of vanquishing the Dead instead of just hoping they'll vanish? How many times, when you were in a city, have you passed a homeless person and pretended not to see them? It isn't just the politicians' responsibility to deal with our society's problems. It's ours, too. And it may be human nature to ignore the ugly stuff, but that doesn't make it go away. Whether the problem is the Dead, or helping the homeless, or Global Warming- this list could go on and on-it is up to us to do something about it. Eleanor learns this. It's about time we did, too.